Doer of Things: Broken Token advertisement. As you know, I love boardgaming. 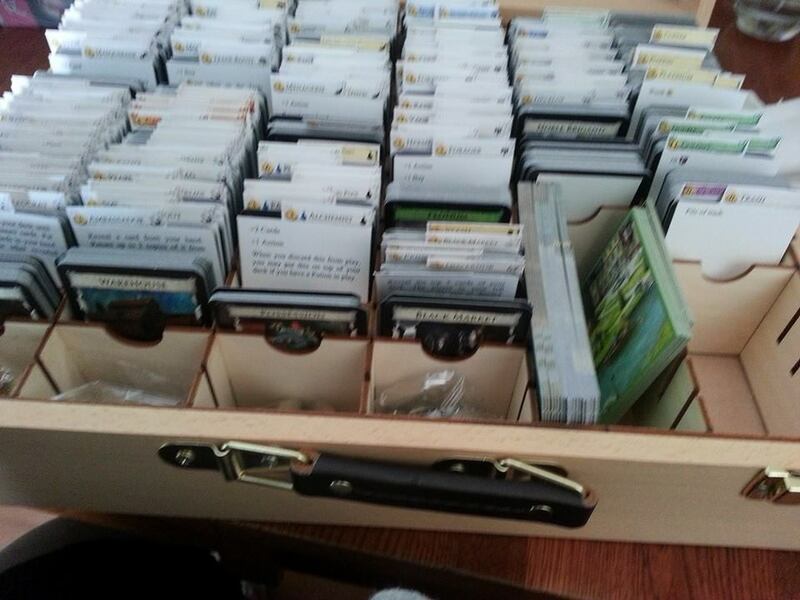 Modern boardgames come with tons of cards, dice, & carcboard, plastic, and wooden pieces. When I started collecting the "cool" thing to do, or really most popular thing, was to store all the components in baggies. This is well and good when you have one or two types of tokens. But the more games I get, the more complicated everything is, and there are often 15+ separate components. This means the time it takes to set up and put away is longer, and often kind of messy. Does my old organized soul some harm to see all those pieces scattered everywhere and getting dropped off the table! 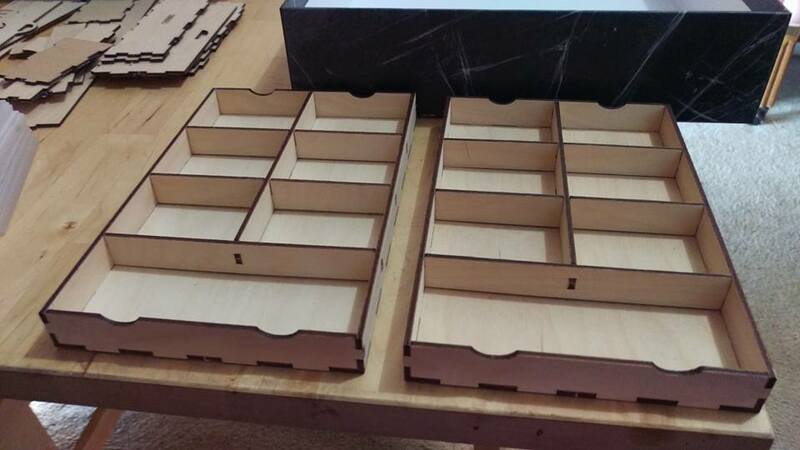 There are people that post these amazing foamcore custom inserts, with separate compartments for everything. They are amazing, but foamcore is the devil, and I have no skill or patience for it at all. Then a few years ago a company popped up called The Broken Token. I love them! They laser cut sheets of 1/8" baltic birch wood and acrylic. 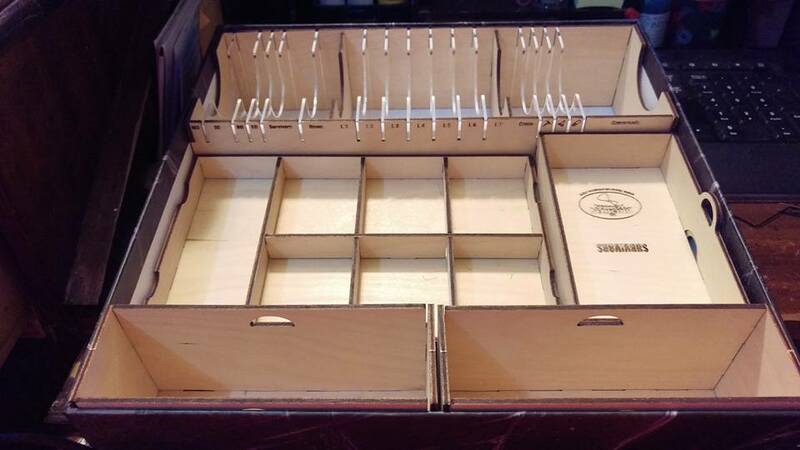 You pop them out of the thin sheets and assemble the neatly designed insert that fits the box perfectly. Of course they have a limited amount of games they have designs for, but their library is expanding all the time - The first time I shopped there, they only had a handful of game box designed, and now they have boxes for over 70 unique games. The first Broken Token insert I bought was for my Dominion collection. I got a hell of a deal on the base set and the first 8 expansions, plus all the promo cards that were available at the time. 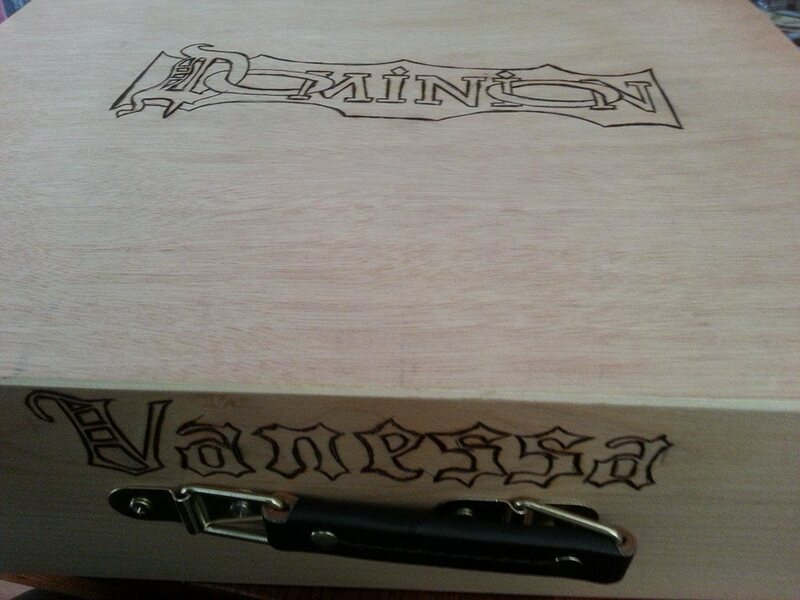 Using 9 separate boxes is crazy, and there werent a lot of one-box solutions, so I bought a wooden artist case from Hobby Lobby and the Broken Token dominion insert, then, for dramatic flair, I woodburned the logo for the game and designed my name in matching font. The bummer of this is that I had to print and cut out all those dang dividers, it took forever. At the time, and to this day, the Hobby Lobby/Broken Token combo is the best storage solution. And there still isnt a reasonable/affordable solution for the inserts. 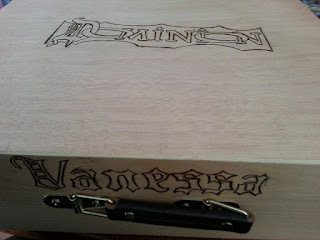 I also made one for Nameless Roommate #1., who actually still has his, but hasn't put his collection in the box yet. There's a lot of room to rearrange things and set it up how you want, which has pros and cons. it leaves room for expansions (or did when I bought mine, but there have been two full expansions since then.) On the other hand, a couple things are kind of awkwardly placed in the box, like coins and place holders. 9/10.. I would still buy it again, I feel like there is a bit of room for improvement. The second broken token I purchased was for Dead of Winter by Plaid Hat Games. It fits snuggly in the box and perfectly accommodates all the pieces with compartments large enough to get your fingers in and pick up pieces unlike some of the alternatives, like Plano storage units. It also is perfect for game play, because set up is just taking some trays out of the box and choosing which scenario to play, instead of opening 50 baggies and dumping pieces all over the table. Perfect, 10/10, would buy again. I inherited my third insert when I bought an old friend's Android Netrunner collection. it suits its purpose.. Adequate. Also I wish there was a better solution for all the tokens that came with it.. I have a 3d printer solution in the queue for my printer, but I don't play very often, so it's low priority. Honestly, I would give it a 5/10 for personal preference. There is enough give in the box that it allows the cards to slip under the dividers when the box is in motion/on its side. I would buy this, but only if I had bought all the inserts for my other games first, this might be on my list for "completionist" reasons. Then Plaid Hat Games announced a sequel to Dead of Winter: Dead of Winter: The Long Night and it had even more pieces than the original! I contemplated buying the original DoW insert, but put it off for a bit. That's when they announced the Long Night specific design - which was great because it had a bunch of different things that needed to be sorted 4 different types of character/monster standees and 5 or 6 extra item types. 8/10 - there are a couple issues with how the stand up figures fit into their designated areas. 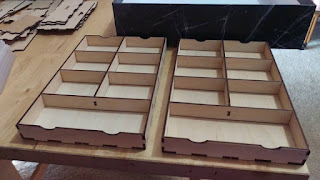 I had to keep the cardboard separate from the plastic stands to make the trays fit flat. Also, there are some modules and I feel that there a couple extra card slots would have been nice for storage.